12 Days of Christmas Day 8: The Sands of Time Keep On Flowing. 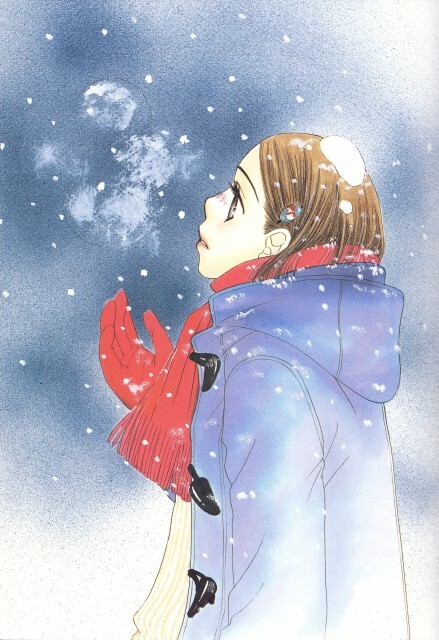 When it comes to the world of Shoujo manga, there is one girl who is truly a hero to me. Her name is Ann. She comes from the manga Sand Chronicles. To get to the point I want to make, I’m going to veer slightly off topic. This is my third 12 days of Christmas. I’ve been blogging for three and a half years now, and an anime fan way before that. My tastes have also changed in that time period. When I was younger, I loved shoujo manga, and was always hungry to read more. There was never enough. Yet when I was at the library trying to see what series I needed to catch up on, and I realized…I didn’t care very much for it as I use to. I don’t know why. I’m in a stable relationship, and I’m older then most shoujo heroines now, but I believe that actually plays very little into it. I’ve become a very different person then I use to be. Sand Chronicles is a manga that I’ve remained interested in since I started reading it. It’s not the typical shoujo manga. For one, instead of only covering high school, it covers from high school and some time before that to the point of when Ann is 26 years old. 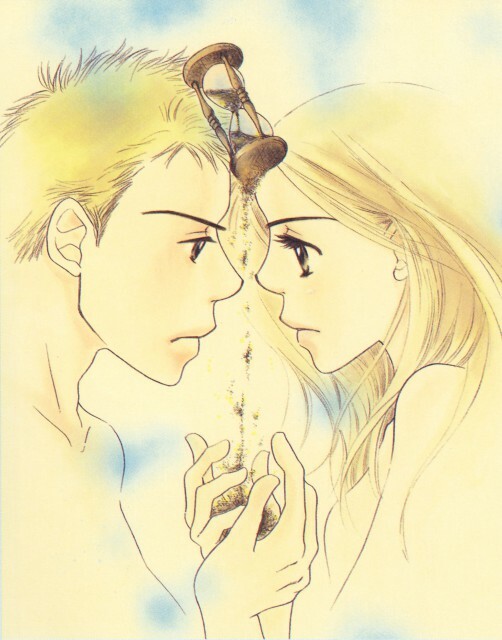 A shoujo manga that acknowledges adult hood and tries to look at what happens there. Le gasp! Graduation isn’t happy ever after! Ann herself is an unusual heroine. Despite her cheerful nature, she’s a girl that’s haunted by her past. Yes, we’ve all heard that one before. Except in this case, is the way it’s handle. Due to her mother’s suicide, Ann is stuck with a crippling depressing that she herself doesn’t entirely understand or know how to fight. Yet she has if she wants to make it, and find stability. Ann has a hard journey ahead of her with the trials of high school, and then life forward, where she has to learn that she’s the only one who can ultimately fight her depression. None of this is ever explicitly stated, but it’s implied. To see a character where her depression is blended so well into her character is shocking. I think the pain and frustration she experiences does show what the inner demon of having a depression that someone can’t control is like. It’s a powerful and crippling problem. Although I understand how Ann ended up that way. Her mother’s suicide is deeply traumatic, and there’s no way someone couldn’t be scarred by that. 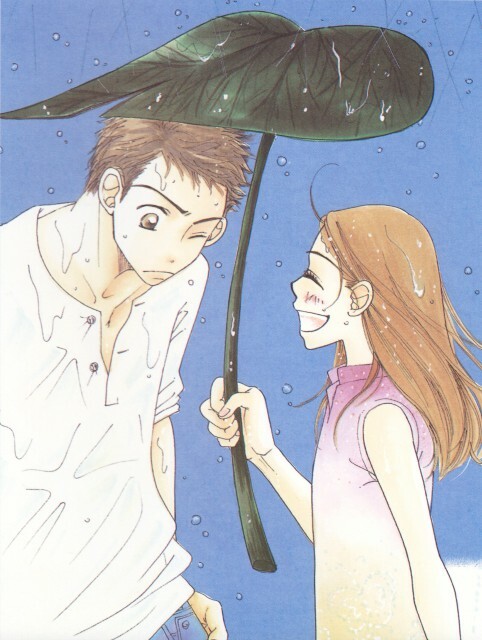 In the end, the manga isn’t about Ann’s relationship with a guy, although there is a main love interest for her. It’s about her going through the trials of life, and learning how to cope with herself. She learns how to have relationships with others. Above all else, she learns how to live with the pain. Sand Chronicles also empathizes another theme. It’s about how time keep passing, things keep changing, we move on, and time can’t be taken back. Thus, while it’s okay to look back, there’s nothing to be gained from being stuck in the past. Yet we still do. When you’re younger, I’m not sure one can understand that. High School seems like it’ll last forever, and then suddenly, it’s over. Even in college, I’m not sure I fully understand this yet, but am starting to understand. 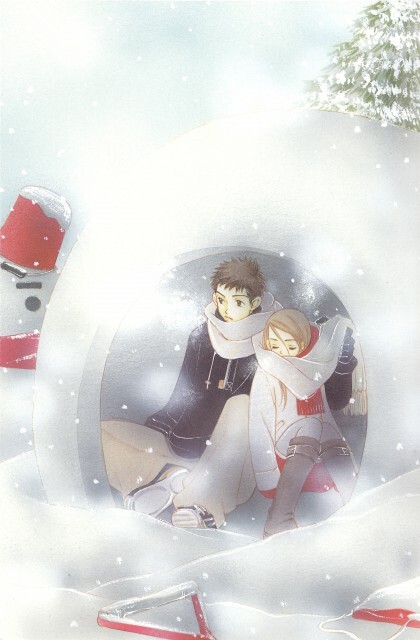 Sadly, I can’t put it in words as beautifully as this manga does. In the end, the only complaint I really have is this manga feels a little rushed, which is a shame. I think it could have moved slower and worked just as well. But damn. I can relate to feeling time pass by. I come back, everyone’s changed, I’ve drifted apart from people, and really, coming home from college for the first time for a huge chunk of time has a feeling to it I can’t describe. I still have to figure how to live with my day to day pain that just happens to be my burden to bear. And this is how it’s going to be for the rest of my life. I can deal with that though. It’s life. And that’s also what Sand Chronicle is about. Life. It’s topsy turvy up and down. Ann realistically fights it through and makes it on top. She doesn’t end up with a 100% happy ever after, she’ll also have her burdens to bear. But I think she ends up as happy as any of us can realistically expect–and she comes such a long way. I’m really happy for her. I really am. I also really look up to her. I want to be where she is someday. Whether I will or not, who knows, I can only try. No matter what, I can be sure of one thing. The sands of time will keep on flowing. A shoujo manga that’s actually, like, realistic? Really? That’s different. I was never really interested in this series, but it sounds somewhat interesting. I’ll look into the first volume next time I’m at Borders. Yeah, give the first one a try. With that, you’ll know if it’s your thing or not.